Congratulations to everyone who took part and to all those who came to support. Results are as follows: 1st Oak, 2nd Poplar, 3rd Pine and 4th Willow. On 27th June 9 people went to Trowbridge cricket club to play 4 games in the West-Wilts cricket finals. On the first game we won by 37 runs against St Josephs. On the 2nd game we played The Mead but as they were a good team we lost quite heavily. Then came the third game which we won by some runs. On the 4th game we drew. Thanks to Mr Tozer, Miss Blake and all the umpires! By Freddie and Toby. 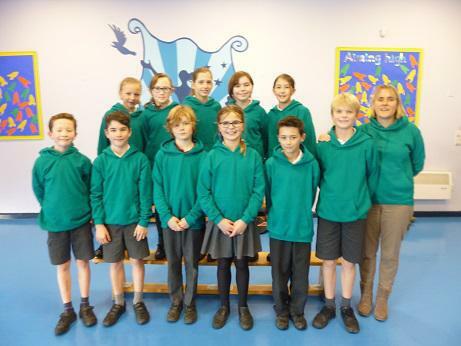 Congratulations to all the children that took part in the Year 3/4 swimming gala. Well done for doing your best and showing good team spirit. Thank you also to the parents/carers who helped on poolside and came to support. Results are as follows: 1st Willow, 2nd Poplar, 3rd Oak and 4th Pine! 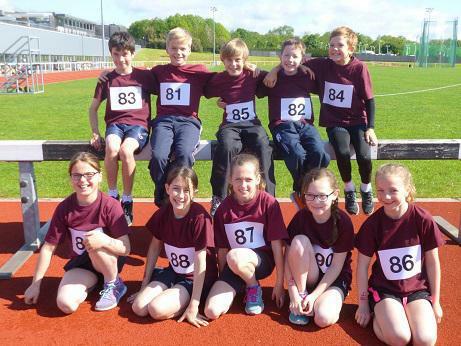 On Monday 23rd May, 10 children represented Fitzmaurice at a Quad Kids competition at Bath Uni. Each of us had to do four different events: 75 metre sprint, standing long jump, throwing a vortex and 600 metre long distance run. There were 220 children from 22 nearby schools, we all enjoyed the experience and the atmosphere was great. After winning the West Wiltshire finals, we were really happy to be going to the County finals. Despite the crazy weather, we played amazingly well and worked incredibly as a team. Even though we didn’t win, we are really proud of how we did and it was an experience to remember. 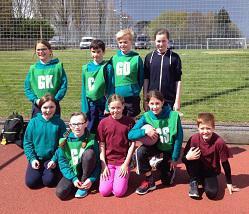 On Wednesday 20th April we went to the Gym competition. When we got there we were SO excited. After we put our things upstairs, we went to do the warm up. There were 17 other schools. (That’s a lot don’t you think?!) Then we went around the gym and did lots of fun activities such as: jumping into the foam pit, bouncing on the trampoline and doing battle beam. Finally we started the competition for real. Everybody did their best and there were no mistakes. We are all very proud of ourselves, here’s how we did. Overall Team Champions: Fitz A – Fitz B were third. A fantastic result for Fitzmaurice! A massive well done to all who took part and thank you to those parents who helped out on the day. On the 21st March 2016, Fitzmaurice Primary School rugby team went to BOA RFC (Bradford on Avon rugby football club) for the West Wilts tournament. We arrived at 9.45 checking out the other teams whilst they warmed up. We drew the first game 5-5, lost the second game 6-4, won the last two games, 6-4, then 7-0. Then we moved on to the quarter finals and lost against Christ Church 6-4. Overall we came joint 5th out of 32 teams! 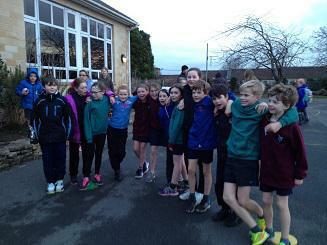 For Sports Relief day this year, the whole school (children and staff) ran a mile around the top field. Y5/6 started first with the other year groups setting off in 5 minute intervals. FS1, KS1 and Y3/4 children could come dressed as their favourite sporting hero for a contribution of £1 towards Sports Relief, and a puzzle sheet, designed by one of the pupils was on sale for 10p. 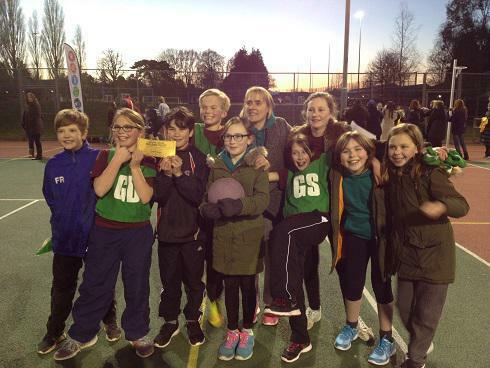 On Monday 7th March 2016 at Kingdown School, ten teams, all district winners, competed in the West Wilts netball finals. Five teams were in our pool and we won all four matches. We went through to the semi-finals against Bitham Brook. We won convincingly. WE WERE THROUGH TO THE FINALS!! In the final, we played against St. Johns; they were really tough but we won 4-2! FAB FAB FAB!! We are now going through to the Wiltshire County finals in April. We hope we can do the same next time. We are all very proud of ourselves and excited to play in the county finals. On Thursday 25th February 2016, Puffin Class took part in West Wilts Dance festival at the Forum in Bath. There were 830 people watching and 17 different groups performed. Everybody had so much fun. We were so amazing. Puffins are so grateful to have had the opportunity to be part of the dance festival. We got a huge round of applause when we finished and compliments from parents and teachers from other schools. A big thank you to Miss Blake for all the work she put into our dance. If you were lucky enough to see our performance we hope you enjoyed it. 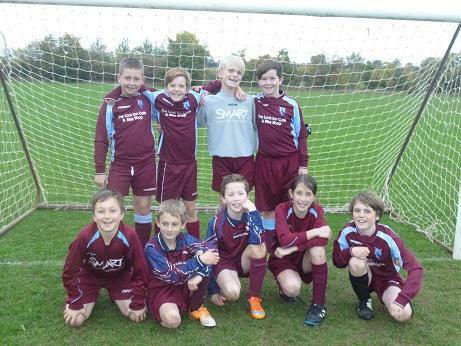 Well done to our football team who came third in the Cluster football tournament at Bradford on Avon RFC on 19th October! Well done to all the children who took part in the Cross Country Festival at Stonar School, each showing determination & ‘stickability’ to the end! Congratulations to the Girls ‘A Team’, Talia F, Maya M, Jess L & Leala May R who came 1st overall in the Cross Country Competition at Stonar School. They are now Wiltshire champions! Well done also to the Boys ‘A Team’, Joe A, Toby L, Danny-Joe McG & Freddie R who came 3rd overall. 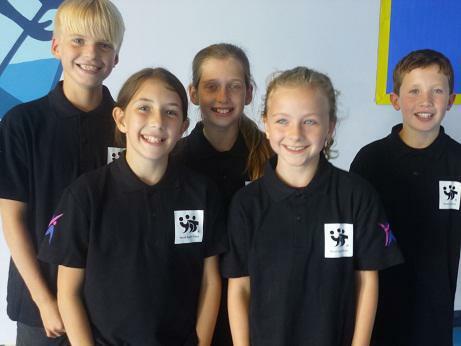 Congratulations also to Talia F who was 1st overall for Y5/6 girls, Maya M who was 2nd overall for Y5/6 girls and Joe A who was 2nd overall for Y5/6 boys.